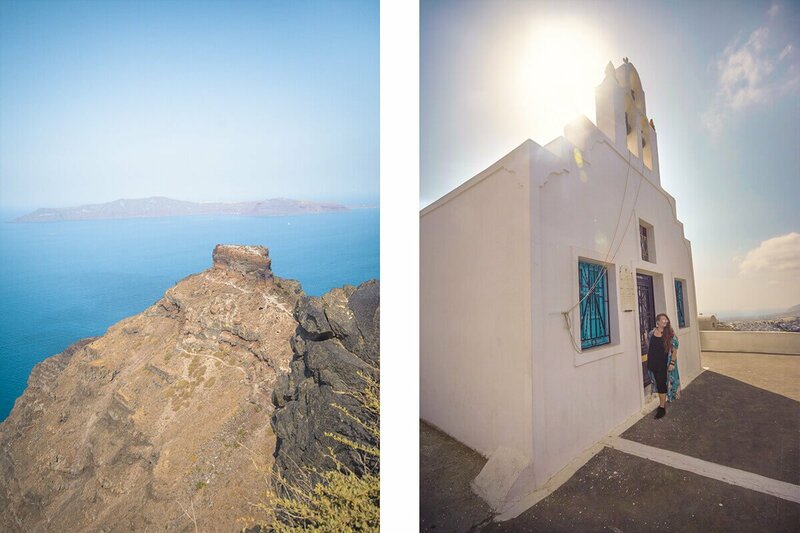 One of the best things to do in Santorini is the hike from Fira to Oia around the caldera. This is a popular activity with a wide range of travelers, both young and old. 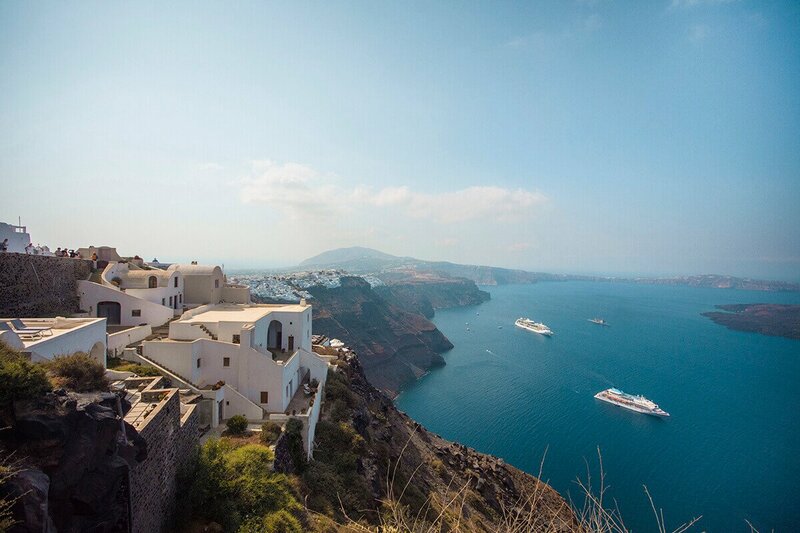 Giving you some of the best views from on the island, walking from Fira to Oia is something which you truly must not miss while in Santorini. 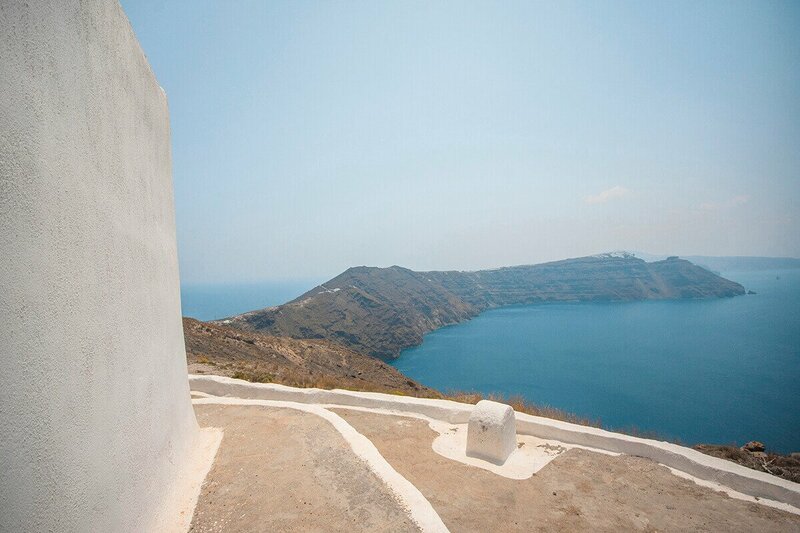 The caldera view hike from Fira to Oia will take you alongside some of the best views in Santorini. 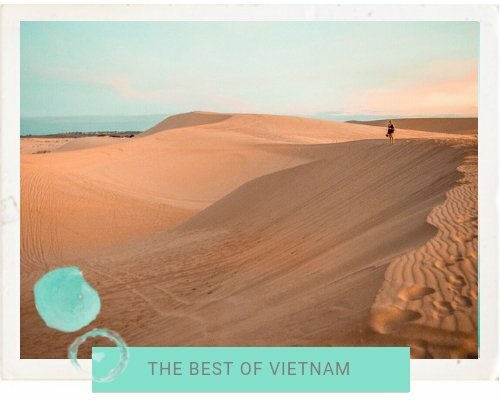 Whether you are in the one of the many white washed villages you will pass through or enjoying the deep blue shade of the surrounding ocean. Your camera will be snapping the entire way so make sure you have enough battery! The walk is approximately 10kms (6 miles) long and will take you through a variety of landscapes along the way. Make sure you set aside a decent amount of time to complete so you are not in a rush. Generally, it should take between 3-5 hours depending on fitness level, stops and the temperature. The path changes terrain from everything such as loose scoria, concrete, sand and rocks. Good walking shoes with plenty of support is a must. Overall the walk is not overly technical in nature and it is signed along the way. If you aren’t good with direction or just seem to always get lost I advise downloading the offline version of Santorini on Maps.Me which is a phone app. This is what I always use when traveling and don’t have access to the internet. Lastly, just be aware of the day temperature when you do the hike from Fira to Oia. It is very exposed along the paths to all elements, the sun, the rain and the wind. If it is summer make sure you head off early in the morning or later in the afternoon, and have organised appropriate transport back to your accommodation. The price for the bus from Oia back to Fira is just 1.60 euros. As you will be walking 10kms and spending approximately 4 hours hiking Santorini there are some essentials which you must take. Apart from the obvious camera for photos of the amazing landscapes, I cannot stress how important it is to have water. The temperature can rise quickly in Santorini and if you are on the second half of the hike it might be difficult to find somewhere to buy water. Make sure you are always carrying extra as a precaution. Protection from the sun is another important factor I must stress about, especially in summer. Sunglasses, a hat and sunscreen are all equally important. I am speaking from experience as well. Don’t end up like a sunburned lobster as I did! Lastly make sure you are wearing a decent pair of shoes. They need good support and a comfortable insole. The path from Fira to Santorini is not easy concrete and during times you’ll find yourself ankle deep sliding down a stone hill. 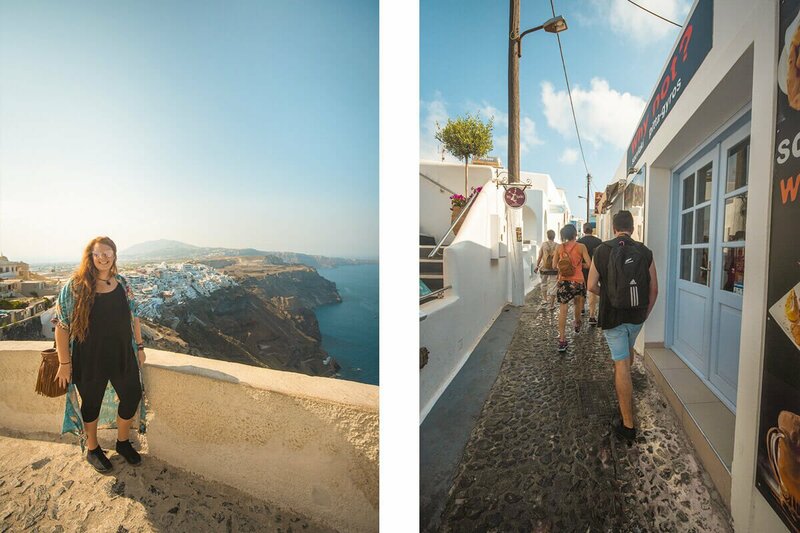 To hike from Fira to Oia I decided to team up with Santorini Experts. 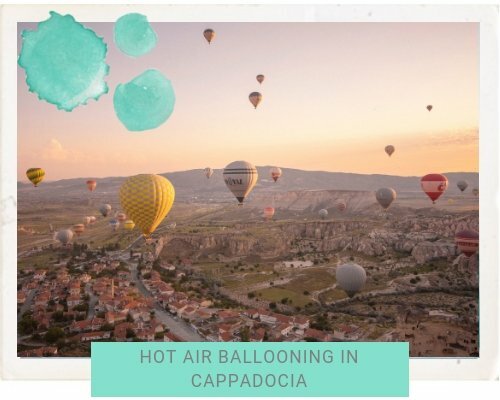 This would allow me to discover the one of the most beautiful Greek islands alongside a local, learning about the history of the volcanic eruption and traditions of the Greek who reside here. Their small group tour runs every Friday from the 1st May until the 31st October departing at 9am. It includes pick up and drop off at a location of your choice so no need to worry about cramped buses and you will even be given water and a snack for the journey. 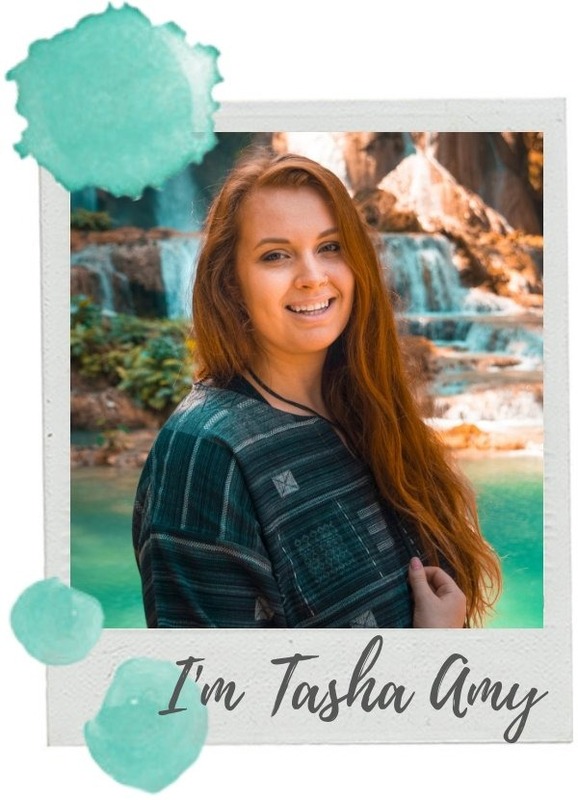 Also you will have one of their English speaking guides who will ensure you don’t get lost and will be happy to answer any questions you may have. Kathryn was my guide for the morning. She was absolutely wonderful and extremely knowledgeable ! After being picked up by Kathryn from Santorini Experts, she gave us a bag with fresh fresh, pastries and water. It was the perfect little breakfast, giving a bit of an energy boast before hitting the track. Parking up and walking through Fira town we ended up at the top of the cable car. The official starting point for the hiking trail starts in the square beside Hotel Atlantis in Fira. Though, today we would be starting a couple minutes in, due to two other guest would be joining on the small group tour today. 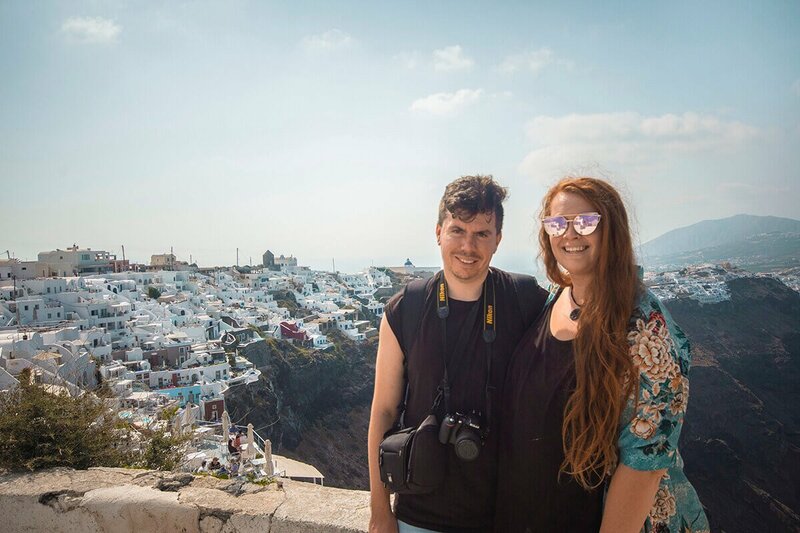 They are a couple from Los Angeles who were doing a cruise ship tour through Europe, so they just had one day in Santorini. 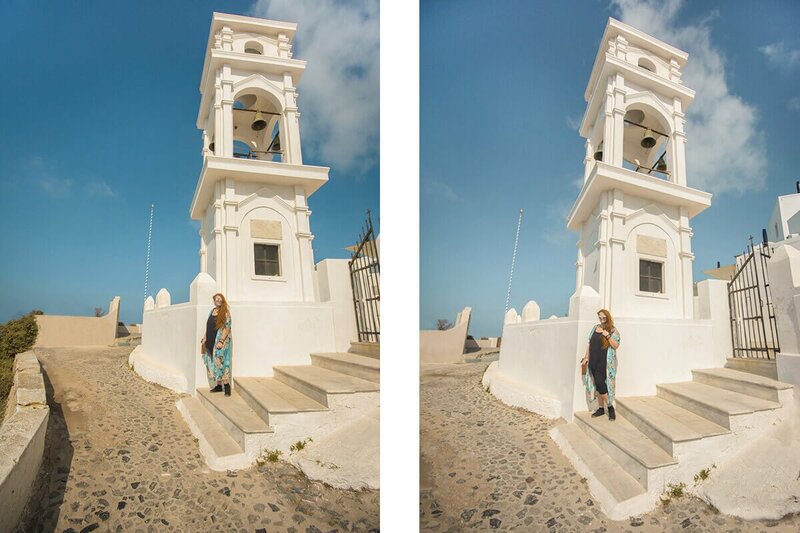 Following the cobblestone paths we head up through the town of Fira taking in the many beautiful sights. 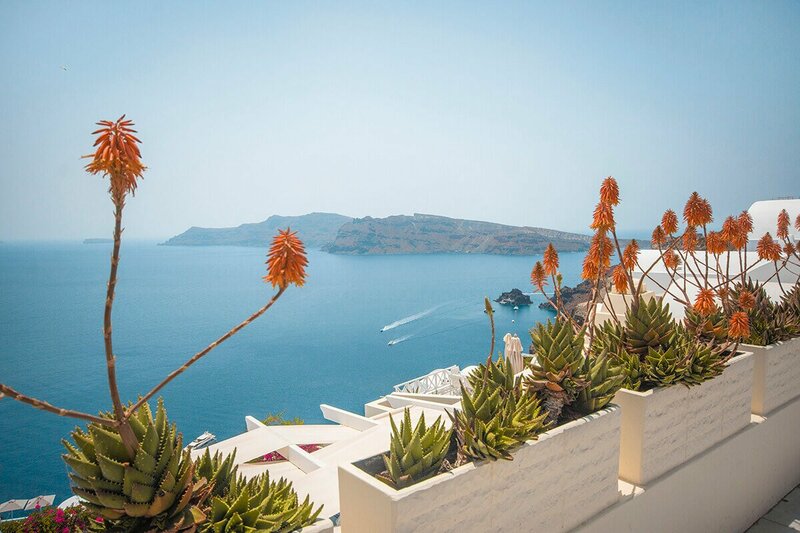 It is the capital of Santorini and the clifftop location offers some of the best views of the nearby Nea Kameni, an active volcanic island to the west. White washed buildings against the deep blue ocean is paradise for the camera. Looking down past the endless villas to the cruise ships circling below. It is amazing to learn actually how deep the waters here are. The cruise ships cant actually anchor so they have to circle in the same position all day. Passing down many tight cobblestone paths and past numerous blue domed churches we end up in Firostefani. If it was not for Kathryn I would have thought I was still in Fira as these two towns join each other effortlessly. There are plenty places here to stop and grab a drink or something to eat. Otherwise continue along the paths on the slight uphill and enjoy the many sights as you follow the cliff hugging walkways. Further north you will come across the town of Immerovigli as you pass by the Church of Agios Antonios, and the Church of Prophet Elias. Here is a slightly more relaxed vibe than the bustling area of Fira which is 2km away. The name Immerovigli comes from the word vigla, which means view spot. 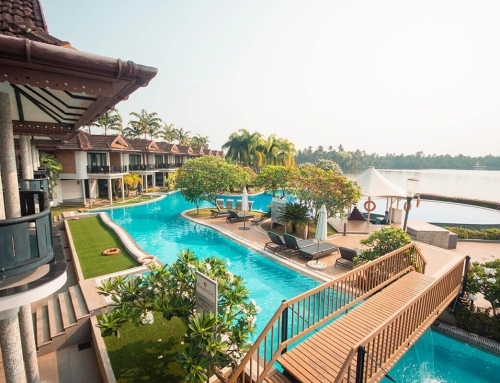 As you can imagine that is exactly what you get here with the perfect location to watch over the waters. 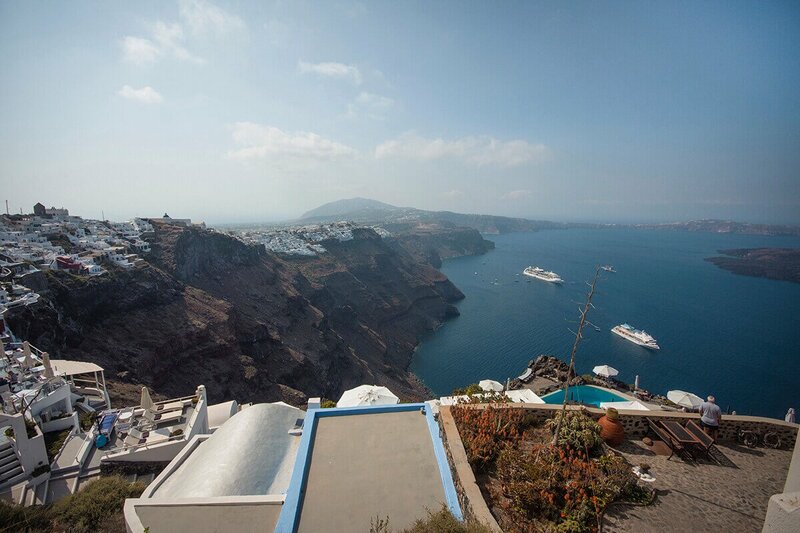 With views plentiful, gorgeous villas with pools overlooking the ocean and uninterrupted balcony views you can bet this is one of the top places to stay in Santorini. If you are feeling a bit peckish and running low on water I highly recommend topping up your supplies in Immerovigli. After this town the landscape gets quite barren with only one or two cafes, though they are not open all the time. So best to avoid risking it and grabbing a couple of supplies to last you until Oia. If you are not feeling the best this is the perfect place to stop. Head approximately a 10 minute walk north of Immerovigli until you get to Cavo Tagoo Hotel. Here is where you will find a bus stop which can either take you towards Oia or Fira. This is about halfway through the hike with at least another hour and a half until the town of Oia. In front of Immerovigli you will find Skaros Rock perched high on the surrounding mounding rising up from the sea. On top of it is a castle which was built in the 13th century which housed all the administrative offices of Santorini. It was abandoned in the 1800’s and certain parts collapsed during an earthquake, leaving only the main hill of Skaros. If you are wanting to hike around the rock it will add at least an hour to the Fira to Oia hike, obviously depending on how often you stop for a break. From Immerovigli all the way through to Oia the landscape becomes a lot more barren and harsher landscapes. There are a couple loose stone hills you will need to climb up and down. This is also the part where the path meets the road which you will need to walk on for a couple hundred meters. There is a step uphill before arriving at the Church Of Panagia. Though, trust me the views make it completely worth it. This is the perfect place to take a quick break for a drink. Don’t worry from here it is all downhill. 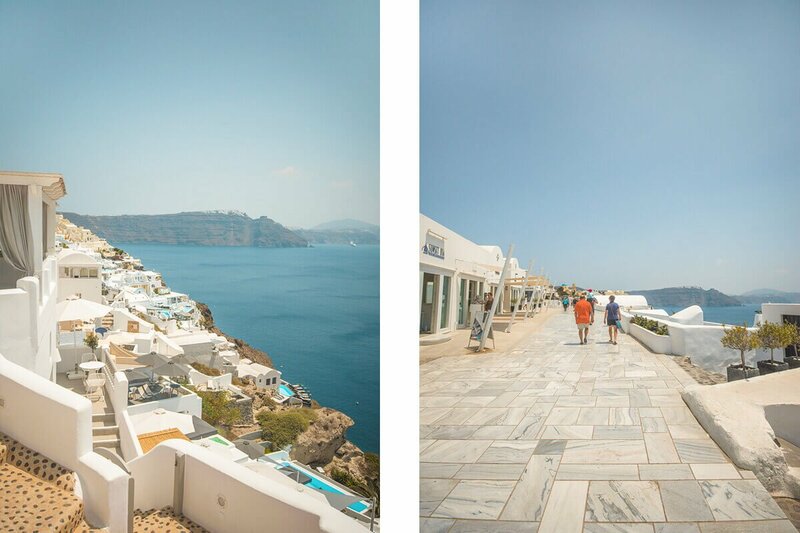 As you head closer to the town of Oia you will notice the path becoming a lot busier and traffic building up on the street. This picturesque town is a hot spot in Santorini and is a must visit during your stay on the island. Throughout the world the postcard backdrop of the whitewashed buildings, windmills and blue oceans is widely known. Here you will find an amazing view over the volcano of Palia and Nea Kameni, as well as the distant island of Thirassia. 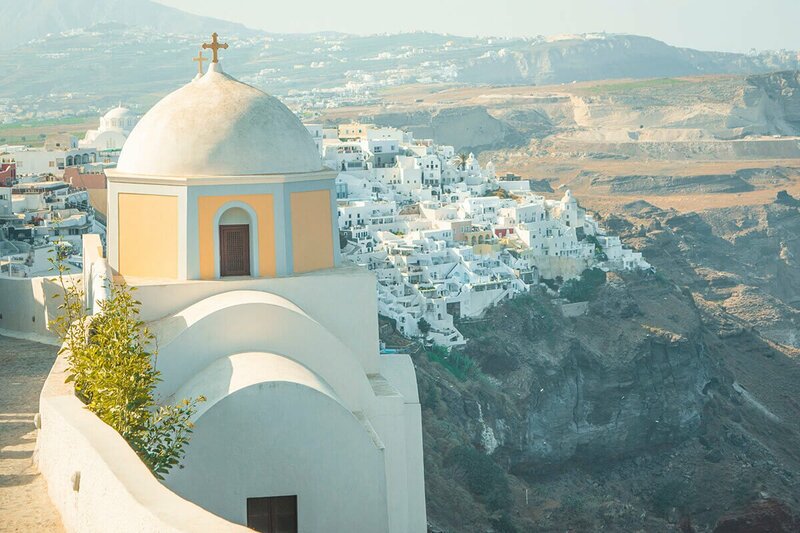 While in Oia make sure to check out the famous church of Ekklisia Panagia Platsani and some of the beautiful view spots over the caldera. If your legs are not feeling tired enough you can also walk down 300 steps to the small port of Ammoudi where you can watch the fishing boats. It is easy enough to take the local bus from Oia back to your hotel or you can even get a taxi. Luckily I was traveling with Santorini Experts so they dropped me off back where I was staying with no hassle whatsoever. Backpackers Wanderlust was a guest with Santorini Experts on their Hiking Fira to Oia tour, however, as always, all opinions are my own. Great guide! This is one thing that I didn’t do when in Santorini- but it was about 100 degrees F every day we were there, so we were hibernating in our pool most afternoons. I did this hike last year and really loved it !! The view all along is absolutely breathtaking and your pictures are totally showing that off ! Looking forward to going to Santorini one day. The white and blue buildings blending into blue sea and sky. It’s nice to some hikes of this island rather than the usual snacks and pool entertainment. Thank you for sharing. 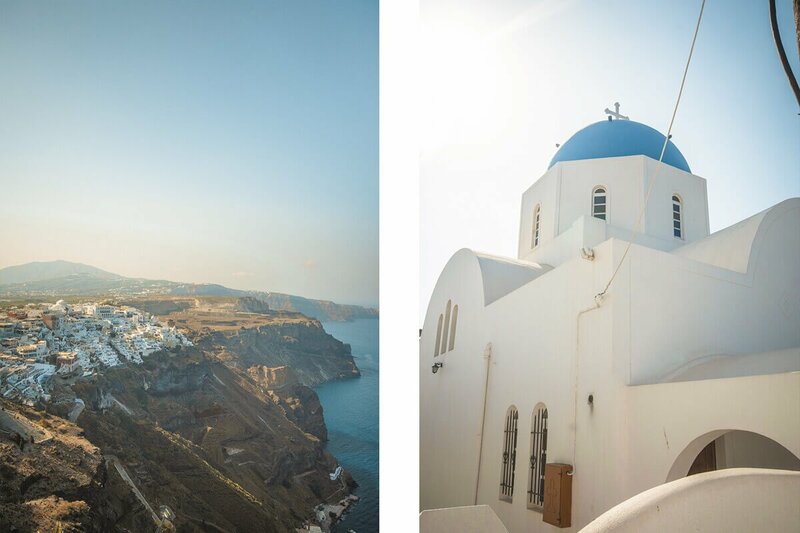 Thanks for sharing your images and reminding me that I have to visit Santorini soon… It looks like a picturesque Greek paradise ! 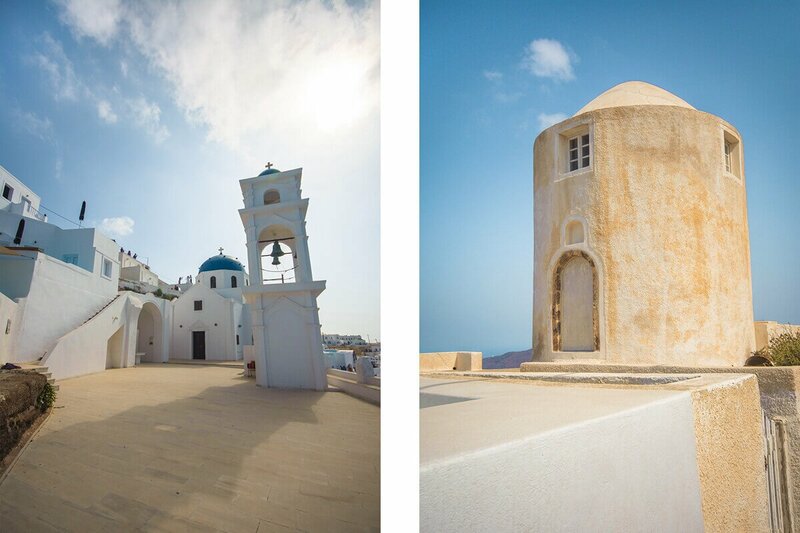 These photos definitely make me want to book a trip right now to Greece 🙂 Santorini looks like the place to be for any budding photographer, because it’ll help you convince anyone you’re an absolute pro. The entire island is pretty much a living and breathing postcard, right ? I love hiking and have done quite a lot of hikes in various European countries (I live in Italy). 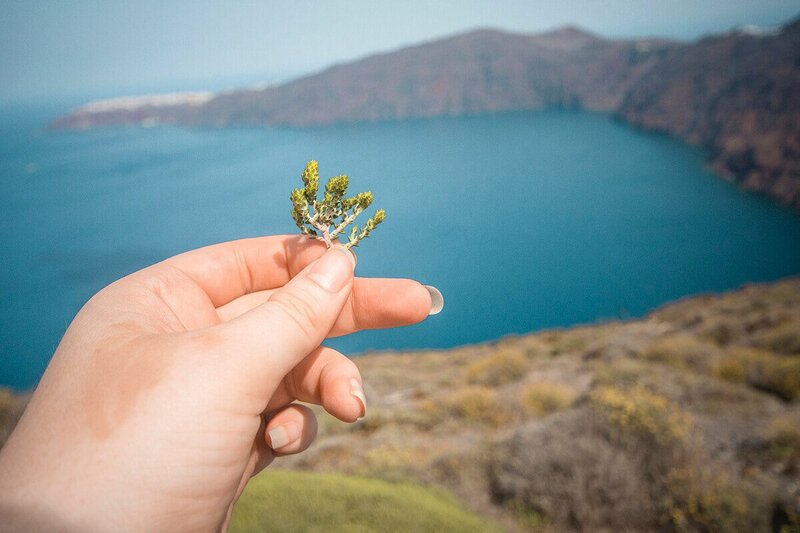 I haven’t been to Santorini since the 1980s, and back then, before the internet, it was harder to find out about cool things such as this hike you’re sharing here. I am glad to know about it! Thanks! Great photos! Wow! Those views are amazing. This sounds like a great hike that I would love to do when I make it to Santorini. 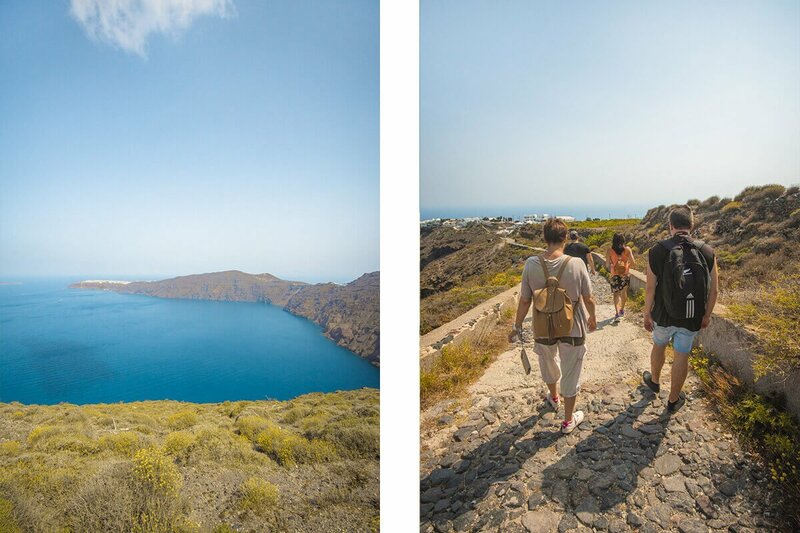 I’ve never thought about hiking Fira to Oia but that sounds like such an amazing experience!! What a stunning hike! I love that your guide brought you breakfast – I think that’s exactly what I’d need to get me going in the morning ? 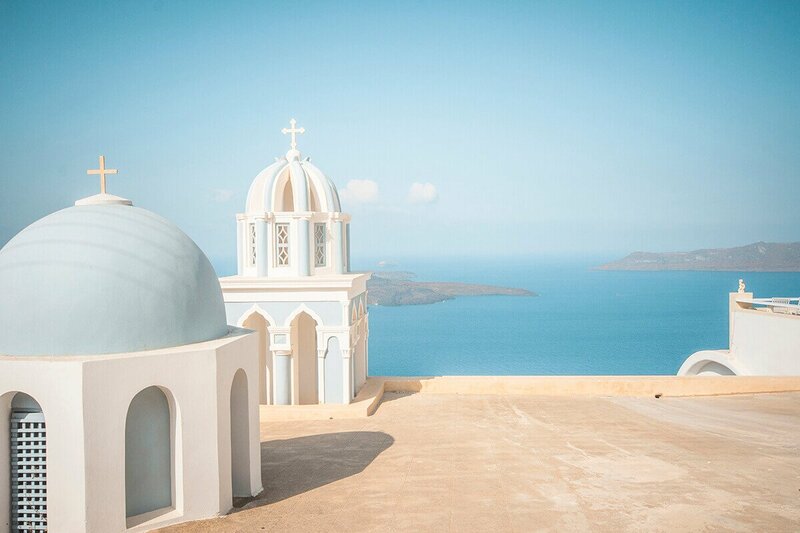 it’s so nice to see that Santorini is more than sunsets too! I totally missed this hike when we visited Santorini, but it looks looovely. 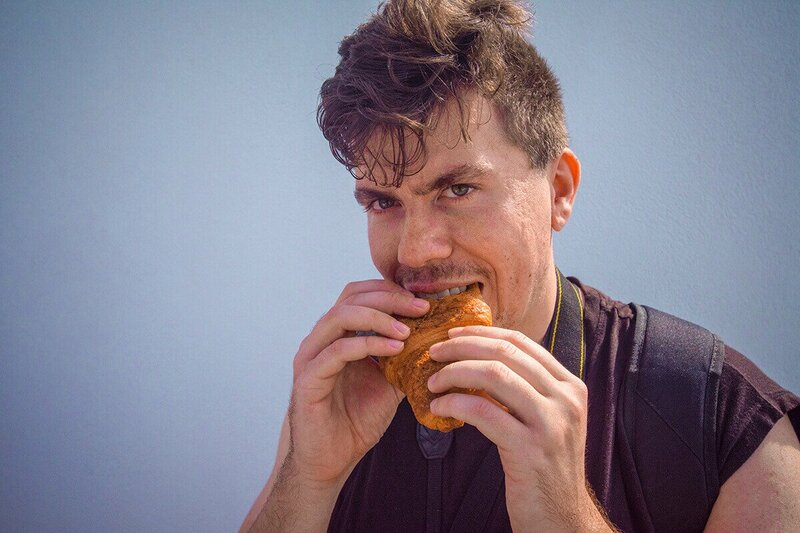 Your photos are always so dreamy! Beautiful post and hike. Lots of great tips here. I’d love to see the volcano of Palia and Nea Kameni on this hike. Already been to Santorini so I missed this! The hike would definitely be something I would do if I went to Santorini as the hiking lover I am. And wow, that blue water just goes well with all objects in a photo! Your photos are so so beautiful! 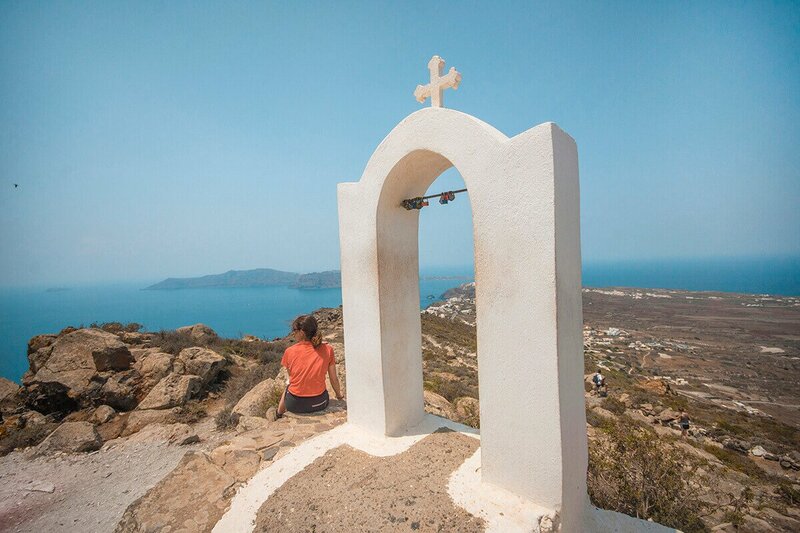 Love hiking as it’s always so rewarding – not sure how I’d cope hiking in Greek temperatures though! 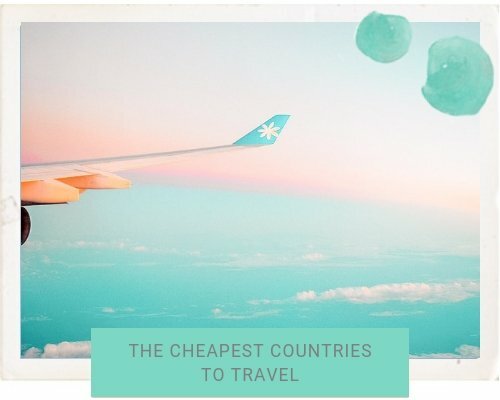 Such a refreshing post from the usual pool-side Santorini suggestions! Your photos are so crisp, clean and beautiful. This sounds like such a beautiful hike to do – really convinced me to look into it when we visit Greece. Amazing! 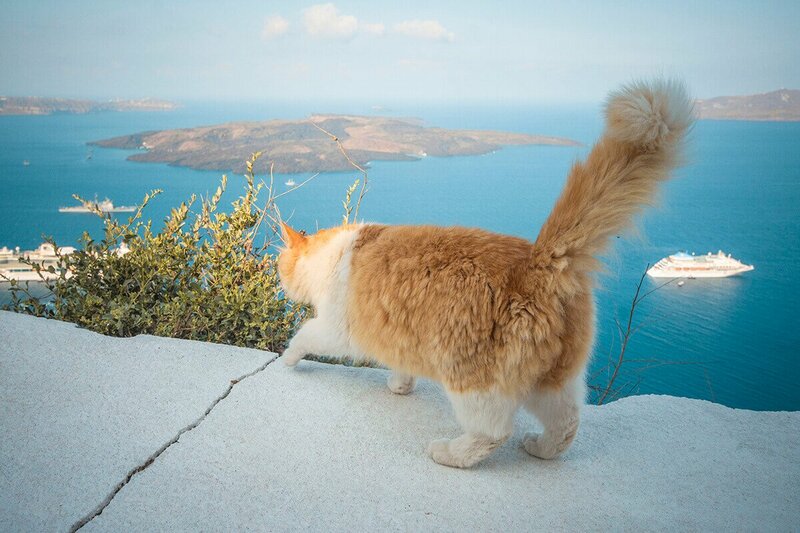 I’ve been to Santorini twice now but have never done this walk. I’ve always thought that it’s going to be too much for me but since I walk 5 miles almost everyday now, I think this will be fine. Lol. We’re planning to go back next year and I’ll probably have to drag my family along with me to do this. I would love to visit Santorini and this looks like such a beautiful hike with many opportunities for perfect pictures. I think taking a guide is a must – if you want to deepen your knowledge about the places you visit. Beautiful! You’re a boss! I was way to lazy to do this and your photos are making me regret that (it was during the heat of August though). Looks like you got some incredible views! This was one of my favorite things during our time in Santorini! The views were just epic. I’ve done this hike and it’s incredible! I’ll be in santorini in September and I’m doing it again! 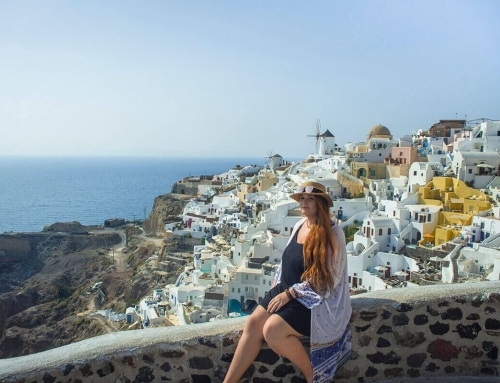 Santorini looks so beautiful Tasha. It is definitely one of my bucket list places.